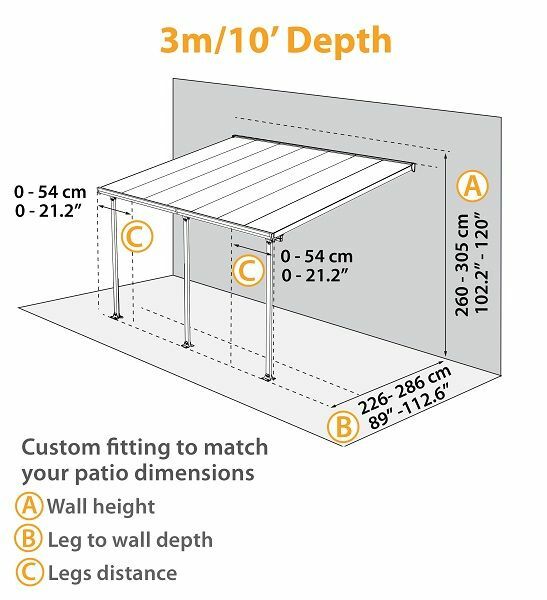 There are a variety of patio covers available but how do you know which one is the right fit for you? Palram's commitment to quality and aesthetics are great places to start. And that commitment is exemplified with the Feria 10 x 20 Patio Cover. 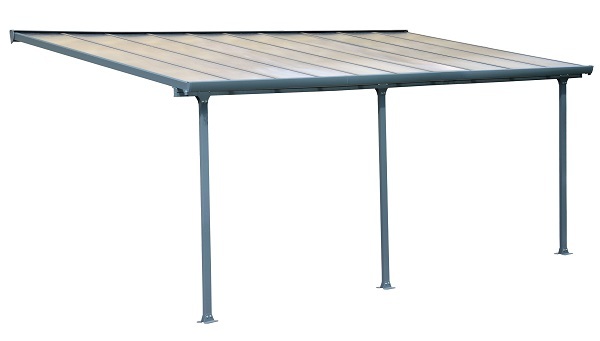 This patio cover is available in two colors, gray and white, and both demonstrate a striking, modern appearance. Function is just as important as appearance. This enclosure can withstand wind of up to 75 miles per hour and is rated for up to 35 pounds of snow per square foot. 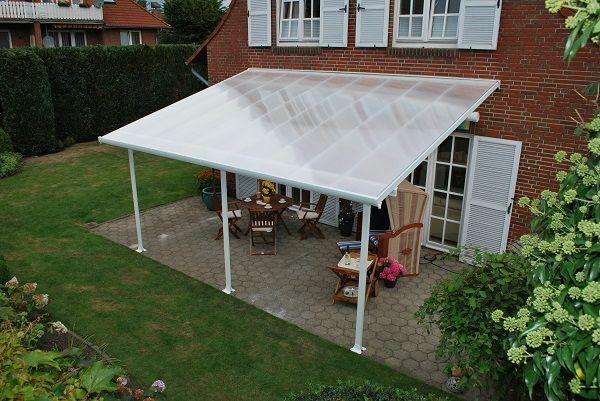 So if you want a stylish and functional patio cover, this is the one for you.